The Snowden Files is the fast-paced thrilleresque account of whistleblower Edward Snowden’s dramatic escape from US capture in Hong Kong, following his leak of thousands of computer files documenting Orwellian NSA surveillance activites. 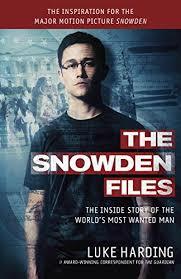 Earlier this year, this book was remade as the motion picture Snowden. Published in the UK, The Snowden Files provides substantial background on the NSA’s British counterpart GCHQ, whose spying on innocent civilians is even more egregious than the NSA’s, owing to the country’s weaker civil liberties protections. In fact, the NSA relies on GCHQ to engage in certain types of snooping (on Americans) that are expressly forbidden in the US. When Guardian reporter Glenn Greenwald first broke the story that Internet giants Google, Facebook, Apple and Yahoo were secretly turning over vast amounts of customer data to the NSA, his editors were forced to release the story online from the Guardian’s New York office to avoid prosecution in Britain. Shortly after the story’s release, British police destroyed all the hard drives in the Guardian’s London office – in the belief they continued copies of NSA files Snowden had released. I especially appreciated the book’s epilogue about Snowden’s life in Russia, as it dispels much of the western propaganda about his selling NSA secrets to Russia, his refusal to learn Russian (he speaks enough to do his own grocery shopping and is working to improve his fluency), and his (non-existent) job with a Russian tech company. At the time of publication, Snowden supported himself through savings and speaking fees. Four other government whistleblowers (Coleen Rowley, Jesselyn Radack, Ray McGovern and Thomas Drake) visited Snowden in Moscow in 2013, and the book recounts their meeting. The book’s major shortcoming is its embarrassing fact checking lapses – for example the assertion that Putin “invaded” Crimea in 2014. Most independent sources confirm that in 2014 the legislature of the Autonomous Republic Crimea held a referendum in which 95.5% voted to secede from Ukraine and join the Russian Federation. The referendum was triggered when a US-sponsored fascist coup seized the government in Kiev. 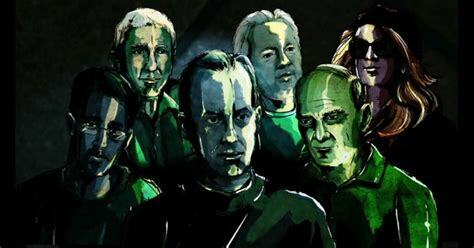 War on Whistleblowers details the cases of four US whistleblowers who experienced severe government retaliation after exposing systematic wrongdoing to journalists. The men profiled are marine Franz Gaye, who broke the story about the Pentagon refusal to replace Humvees with much safer MRAPs in the US occupation of Iraq; NSA senior executive Thomas Drake, who first blew the whistle on illegal NSA mass surveillance; Lockheed-Martin engineer Michael DeKort, who broke the story that Lockheed was supplying the Coast Guard with substandard boats and radios that weren’t waterproof; and Department of Justice lawyer Jim Risen, who first exposed the Bush administration’s warrantless wiretaps. Their stories are interspersed with commentary by iconic whistleblowers Daniel Ellsberg and Edward Snowden (via Internet linkup), as well as the handful of journalists who have been brave enough to publish evidence of government corruption and criminality and members of the Project on Government Oversight and the Project for Government Accountability. Each of the four whistleblowers went up his workplace chain of command in his agency and exhausted every option for addressing the problem internally. Each was fully aware of the potential consequences of their actions of going to the press. Yet after much soul searching, they saw whistle blowing as a preferable alternative than to colluding in their superiors’ criminality. Only Gaye was allowed to resume his career as an active duty marine. DeKort had his Lockheed position cancelled and was blackballed from further work in the defense industry. In addition to losing their jobs, both Drake and Risen experienced financial ruin, spending tens of thousands of dollars fighting felony charges the Obama Justice Department brought against them. Drake was charged under the Espionage Act, even though the information he shared with the Baltimore Sun was unclassified. After seven years of persecution by the Justice Department, Drake eventually pleaded guilty to a misdemeanor: excessive use of a computer without authorization. The charges against Risen were dropped after four years of legal battles. The film makes the clear distinction between leaking and whistleblowing. High level Obama administration officials constantly leak classified information to the press with no legal consequences. Despite his campaign promises to make government more transparent and accountable, Obama has significantly increased government secrecy, as well as prosecuting more whistleblowers than all other presidents combined. According to Snowden, the President’s purpose isn’t to make Americans more secure. It’s to protect government agencies and politicians from embarrassment a criminal prosecution. His crackdown on whistleblowers is also a fundamental violation of the First Amendment. The whole intent of freedom of speech and the press is to ensure citizens’ right to criticize their government without being punished.